I was going thru D&DUnchained withdrawals! I’ll have to try harder to spread out my listening over the next 4-5 weeks! Any thoughts to interview Andrew Bennett again about the Vault stuff he has ? We’d easily talk to him again, but I think he’s waiting for the dust to settle before he does anything else. EPISODE #28 – Eddie Van Halen is a complicated guy but that’s what makes him so interesting and incredibly creative. 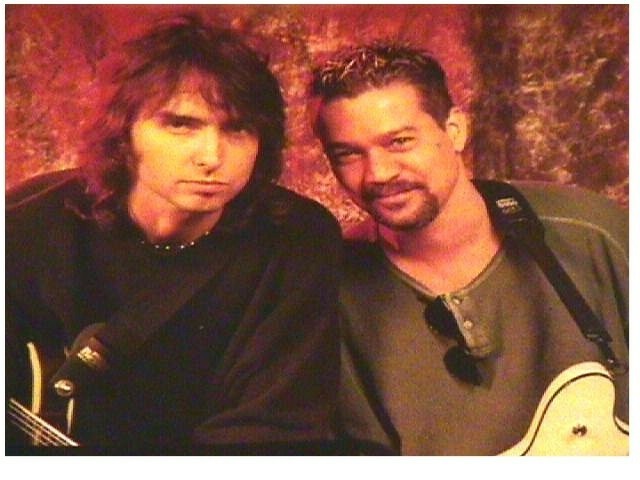 In this episode, go inside the mind of Eddie Van Halen as Dave & Dave analyze EVH’s comments from 1980 and 1989 interviews giving you insight into what makes him tick. Additionally, album cover artist Jay Vigon talks about working with David Lee Roth and Sammy Hagar designing their solo album covers plus doing album cover artwork for many other artists such as Tom Petty, Quiet Riot, Prince, Fleetwood Mac and Bon Jovi to name a few. VH News and a new Mailbag segment complete this April basket of goodies. 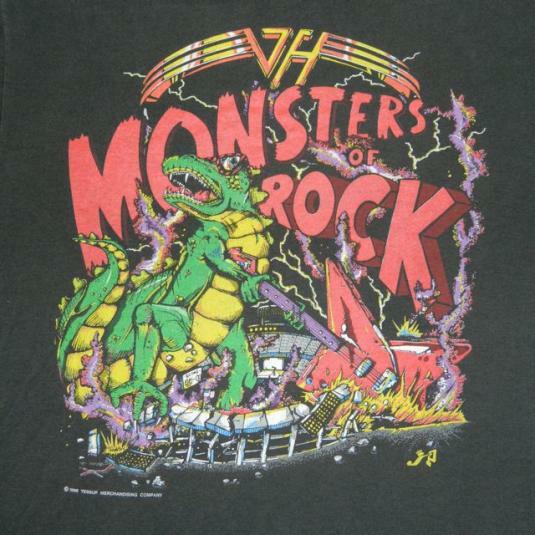 EPISODE #29 – Thirty years ago Van Halen got bold and headlined a two-month long stadium tour called “Monsters of Rock” supported by the Scorpions, Dokken, Metallica and Kingdom Come. The foursome also released “OU812,” its sophomore effort with second lead singer Sammy Hagar (8th studio album overall). In this episode, the Daves breakdown “OU812,” labeling it as Van Halen’s most varied album. Then the duo analyzes the infamous “Monsters of Rock” tour including some anecdotes from one of the Dave’s personal experience at the festival in New Jersey. Then Dave & Dave interview Dokken drummer Wild Mick Brown who was on the “M.O.R.” tour and even competed for stage time on the Sunset Strip with Van Halen in the late 70s with his pre-Dokken band the Boyz featuring Dokken guitarist George Lynch. Healthy scoops of VH News and a new Mailbag segment make this episode action packed with Van Halen goodness. Dave: COME ONE, COME ALL! Don’t forget to come tomorrow night if you’re in the Philly area! 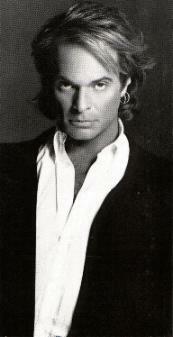 Dave & I look forward to seeing Romeo Delight and meeting other VH fans, including VHTrading’s very own Ron! Dave: Don’t forget to come tomorrow night if you’re in the Philly area! Dave & I look forward to seeing Romeo Delight and meeting other VH fans, including VHTrading’s very own Ron! Yep, Ron has been in Philly seeing the sights, and getting some sun. Looking forward to VH Bash #2 tomorrow night! Happy Birthday to badass bassist Michael Anthony who truly is the nicest guy in rock. Whether he’s playing in the Circle, Chickenfoot or Van Halen, Mikey is always an asset to any band. He’s the secret weapon who never steps into the spotlight but always has your back. So raise a glass of JD for MA today! 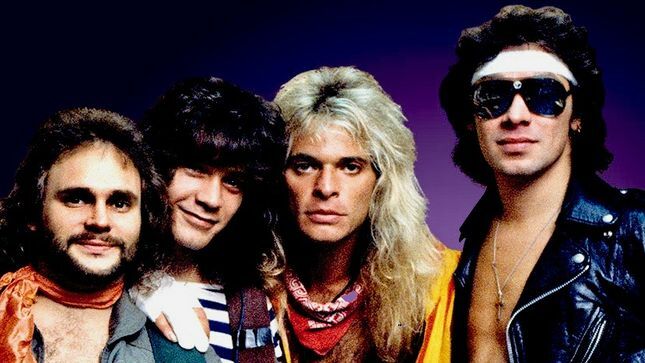 EPISODE #30 – The secret film project on Van Halen is out, “Breaking the Band: Van Halen” and the Daves do a full analysis of the program from the Reelz channel. Followed by full live coverage on the scene at Van Halen Bash 2 featuring commentary, interviews, including one with VHTrading’s very own Ron, plus a pre-show acoustic session and concert performances by Romeo Delight – the ultimate Van Halen tribute band. Of course, it wouldn’t be a proper episode without VH News and a Mailbag segment to make it complete. EPISODE #31 – This time out the Daves join forces with Eric Broadbent – a.k.a. 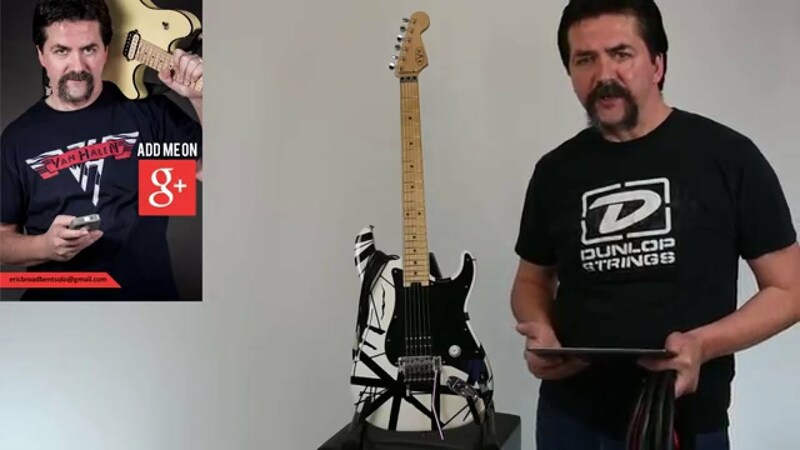 VHTrading’s very own floydrose5150 – of the EVH Gear TV Podcast for a deep dive discussion on everything Eddie Van Halen including his newly released Eruption ‘78 Series guitars. 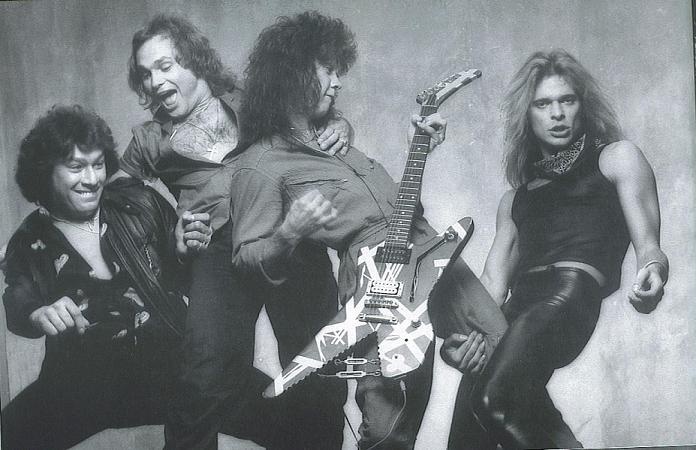 Plus, a heap load of VH News and a full mailbag segment complete this new episode. EPISODE #32 – Rock star Damon Johnson (Brother Cane, Black Star Riders) chews the Van Halen fat with the Daves about growing up worshipping VH, touring with the band in 1995, hangin’ at 5150 with Eddie Van Halen and working with Sammy Hagar on his 1997 post-VH solo album, “Marching to Mars.” Then the dynamic duo referee a live album battle royale: Sammy Hagar-era VH’s “Live: Right Here, Right Now” from 1993 vs. David Lee Roth-era VH’s “Tokyo Dome: Live in Concert” from 2015. Healthy portions of VH News and a full mailbag segment complete this extra large episode. I didn’t see this post. This was so cool to do this with you guys!! What a blast. I sincerely appreciate everything you do. Thank you once again! EPISODE #31 – This time out the Daves join forces with Eric Broadbent – a.k.a. VHTrading’s very own floydrose5150 – of the EVH Gear TV Podcast for a deep dive discussion on everything Eddie Van Halen including his newly released Eruption ‘78 Series guitars.Plus, a heap load of VH News and a full mailbag segment complete this new episode. EPISODE #33 – Get out your credit cards and crack open your piggy banks because Van Halen’s ex-manager is having a garage sale. That’s right, Noel Monk’s Van Halen Auction is about to begin and the Daves have the scoop. In this episode, the dynamic duo speaks to Monk about the specific contents of the auction and then Dave C. discusses the details about how the auction works with Jacques van Gool of Backstage Auctions. A massive amount of VH News and an oversized mailbag segment complete this fall feast of an episode. EPISODE #34 – It’s Diamond Dave’s 64th birthday and the Daves are celebrating Roctober with an all DLR episode. Turn the clock back to 1994 when Roth ventured off into his 5th and most ambitious solo outing of his career, “Your Filthy Little Mouth.” Not only do Dave & Dave have a deep-dive discussion on the album, but there are interviews with album producer Nile Rodgers and Dave’s guitarist/co-writer for the project Terry Kilgore to boot. VH News and another oversized mailbag segment pack this episode with a punch. Download or listen to the podcast for free on Spreaker, YouTube, iHeart Radio, Spotify or iTunes. Dynamite guests! – Congratulations snagging Nile Rodgers. Good scoop. I’ve noticed very few comments from Nile Rodgers about the YFLM album nothing at all in his book. Looking forward to hear what he has to say. Thanks. You know- There’s TON’s of cool little trivia funfacts & stuff from DLR’s 1990′s era from ALAE & YFLM. BOB EZRIN was initially intended to be the producer for ALAE & brought in Steve Hunter & recorded demos with Rocket Richotte before they even hooked up with Jason Becker. Shes My Machine was one of the tunes according to the songwriter Monty Byrom. There’s an interview with him @ Roth Army. He also co-wrote ” Dont Piss Me Off” on the 1997 ” The Best ” cd. 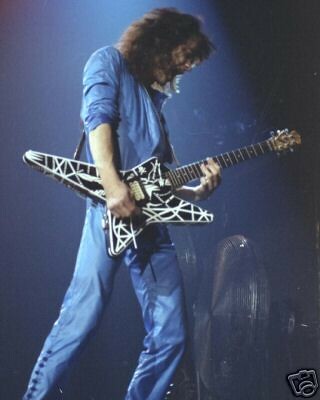 EVH Guitar Fanatics are mostly oblivious to the fact that Rudy Leiren worked on YFLM. You can see comments on the net EVH superfans asking about Rudy oblivious to what he did after VH. There’s a band named D’Molls who blamed DLR’s stage manager Patrick Whitley for breaking up the band. Some kinda stigmatic sour grapes I guess. But this Rocket Richotte guy seems to be a relief player or something as he’d also hooked up again on the 1994 tour after Terry Kilgore failed to fufill his obligations. Terry Kilgore- BLACK SAND…..freakin brilliant. My personal #1 favorite DLR solo carreer tune.